Thanks to the inspiration and hard work of a small, committed group of volunteers and the work of an East Tennessee State University graduate student, Steele Creek Park Nature Center is now the repository of a truly outstanding herbarium. Several years ago Ruth and Mary Clark, Adrianne Hess and Sharon Foster established the herbarium containing plants found within the Park. With financial support from Friends, and the botanical knowledge of Ruth and others, this dedicated group of individuals began their volunteer efforts. To date, they have collected and preserved over 450 specimens, most of which have been specially mounted for long term preservation. 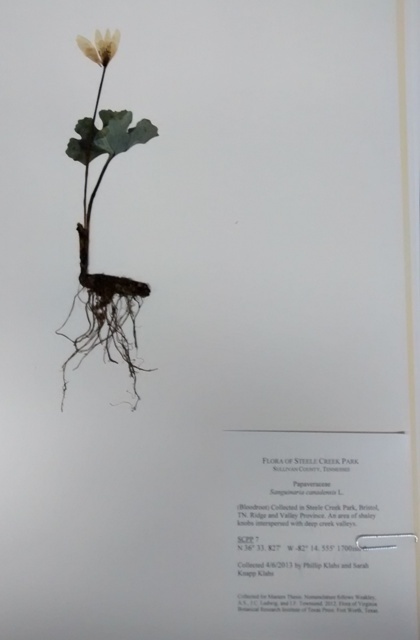 In 2014 we learned that Phillip Klahs, a graduate student in the Department of Biology at ETSU, was focusing his Master’s thesis on the vascular plants of Steele Creek Park. 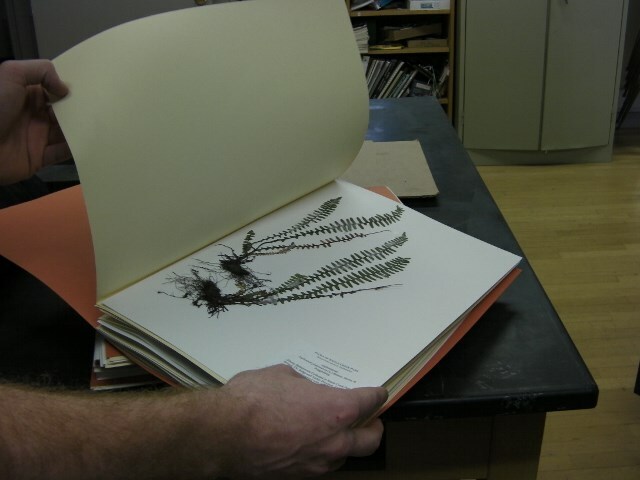 As part of his project, he had collected and was preserving herbarium specimens of his documented species. To help him accomplish this, Friends provided Phillip with financial support for a custom plant press and the materials needed for preserving and mounting the plants. The plant press is now kept at the Nature Center for ongoing use. Complete sets of his preserved specimens were contributed to both our herbarium and the ETSU herbarium. Additional specimens of interest were donated to the University of Tennessee Herbarium in Knoxville. Phillip documented the presence of 547 species within Steele Creek Park, vastly increasing the known records within the Park. Of those he documented, 216 were newly reported for Sullivan County, six are considered Tennessee Special Concern Species and one is a Tennessee Threatened Species. His complete thesis (including a listing of all species identified) is available online. Thanks to the vision, dedication and hard work of Ruth Clark and the other herbarium volunteers, the Steele Creek Park Herbarium is now a reality. With the specimens they have contributed, combined with those donated by Phillip Klahs, it is perhaps the finest herbarium in the entire region outside of an academic institution. It will serve as a valuable research and educational resource for years to come. Those interested in viewing the collection may do so by appointment, under the guidance of one of the Park naturalists.